There has been a lot of good quality think-tank and media stuff in the past few weeks about what the new Chinese president Xi Jinping may be thinking and planning. Since what his government implements in the next two to three years will largely decide how far China can go with its developmental project, I am posting some highlights here. The big lacuna, for me, is that there is no similar debate about what premier Li Keqiang may be thinking and planning and what his capacity to act (semi-) independently of Xi may be. Premiers are also important in the Chinese system and, from time to time, you get ones like Zhao Ziyang or Zhu Rongji who define an era more than the president. Anyhow, the Li side of things is not much addressed here. Recall that Obama did two days of unscripted discussions with Xi in California in June in an effort to find out what is happening in Xi’s head. My sense is that Obama didn’t get a very clear view. 1. Francois Godemont’s essay Xi Jingping’s China, published by the European Council on Foreign Relations. Godement has Xi as the new Chinese Big Man, streamlining the bureaucracy and limiting corruption but doing almost zero at the institutional development level. I found this sort of interesting but not compelling in the sense of really giving visibility. Xi has accumulated more power and more personal authority than any leader since Mao Zedong. His top-down approach will probably leave little room for major political reform or economic liberalisation; his “hardline modernisation” approach seeks instead to combat behaviour such as corruption and loose credit. The economy is the one area where Xi doesn’t seem fully in control. The price he has paid for broad support from party elders and conservatives is also an endorsement of major vested interests, which will constrain those arguing for major economic reform. Xi is ignoring his predecessors’ “low profile” approach to foreign policy, and claims a role for China as a global power. Xi seeks strategic parity with the US while its regional approach is based upon China’s superior strength. There is an ongoing debate about reform in China which centres around questions of how far and how fast reform – political and economic – might go.Political reform – at least in most western discussions – encapsulates the possibility of changes to China’s political system. Under the country’s new leaders there is little sign of fundamental shifts so far, though there are campaigns to clean up the bureaucracy and make the Party-state more responsive.Economic reform is often reduced to greater marketization and a reduction in the state’s role in the economy. This has been prompted partly by a sense that state-owned enterprises have become too powerful, that the private sector has insufficient space to develop, and that factor markets are still too much in the hands of government officials. Less noticed is the extent to which social and livelihood issues feature. Even when it comes to resource pricing, for example, there are aims to differentiate pricing in electricity, water and gas (planned for some time) to support livelihoods. Indeed, the ‘economic reform’ document for 2013 has as its guiding principle dealing with the state’s relationship not just with the market, but also with society. A reference to ‘reform dividends’ benefiting people ‘more justly’ highlights the social element. This is not a manifesto for economic efficiency alone. Social issues have also been prominent on the agenda of the State Council, under new Premier Li Keqiang. According to official accounts of its meetings, major issues discussed over recent months include air pollution, developing the solar panel industry, safety in (industrial) production, providing safe and high quality milk powder, managing the agricultural sector to ensure supply and stable prices, and dealing with the earthquake which hit Sichuan in April. A social policy emphasis makes a lot of sense. While economists and investors have stressed their desire for market-oriented economic reforms to improve efficiency, from a political perspective the most pressing issues the leadership faces are social and popular concerns. There were hints of this as soon as Xi Jinping took over from Hu Jintao as head of the Chinese Communist Party back in November. Xi’s first public comments highlighted people’s desire for ‘better education, stable jobs, more income, greater social security, better medical and health care, improved housing conditions and a better environment’. All of this suggests we should rethink the way we understand ‘reform’ in the Chinese context. Social, or livelihood, issues are at the forefront of Chinese policy making. And economic reform does not just mean the economics of efficiency (to borrow a phrase from Joe Studwell’s How Asia Works), but also addressing social and livelihood issues through the economics of equity. 3. Kerry Brown, once of Chatham House, now based in Australia, has some nice bullets on what we may know about Xi. The final bullet is one I think I would have gone for. What interests me most is to understand the mechanics of the political tendency to increasing consensus and conservatism in fast-developing states. Is it just the effect having more money that encourages politicians to buy off constituencies and avoid confrontation for as long as possible? This is a submission to the Foreign Affairs Committee, House of Commons, on 2 July 2013. 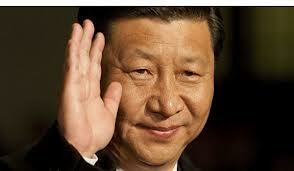 China’s new leadership is one of political scientists, historians, economists, lawyers and social scientists. The era of the technocrats has come to an end. This is a leadership set up for a domestic agenda and that will resist attempts to pull it more deeply into international affairs, which are seen as lying beyond what the elite define as in China’s national interests (preservation of stability, building up economic strength, safeguarding sovereignty), despite the very real pressures that will be put on it to that effect. They view international relations in a more emboldened way than their predecessors, and show their awareness of their country’s new economic status and how this needs to be reflected in how the world talks to and engages with China. Underneath the bolder presentation of reformist intention towards corruption, economic policy and use of political language, the Chinese Communist Party in the 21st century lives with the paradox that a movement founded in revolution has become, in its seventh decade in power, self-preserving, highly cautious, led by people with remarkably little diversity, and extremely conservative. 4. Michael Komesaroff is a thoughtful commodities specialists who writes the Metal Man column in the China Economic Quarterly. I am not posting his presentation because you should register at his Urandaline site in order to get it. However it, and other useful things he posts, are free. Who said that Australians are tighter than Scots? Here is his blurb. After Hu: More of the same, is the title of a presentation I made in April to the Sydney based clients of UBS. The presentation develops a theme I have been articulating for sometime, namely that Western observers of China are likely to be disappointed in the reforms they seem to be expecting from China’s new leadership.The presentation includes a positive forecast on China’s need to import greater quantities of iron ore, but this is offset by changes in market power so thermal coal is less attractive. After Hu: More of the same can be found here. 5. A macro-economic aside. In terms of the raw economic problem that the new government faces, this graph from Gavekal Dragonomics is useful. It shows how much nominal growth banking lending produces — in other words a proxy for a pure Incremental Capital Output Ratio. The point is that chucking money around is producing diminishing returns, as one would expect at this stage of development, and so structural adjustment and institutional change are suddenly very important as means to improve Chinese bang-for-buck. The question is whether Xi and Li do only economic structural adjustment — such as interest rate reform, a revision to the centre-provincial fiscal arrangements in place since 1994, more action on welfare transfers and inequality — or whether they add any institutional medicine from education system to legal system to media to political pluralism modernisation. 6. More media-type stuff now. This is an op-ed from Russell Leigh Moses, Dean of Academics and Faculty at The Beijing Center for Chinese Studies, who is writing a book on the Chinese political system. After telling the lower ranks of the Communist Party to shape up and make a clean break from past practice, Chinese leader Xi Jinping has taken aim at a new target: the Party leadership itself. And he’s done so with authority and openness from the highest pulpit of politics in China–the Politburo, the very place where the senior leaders sit and make policy. In a speech at the conclusion of a three-day special meeting that was covered across Party media and took up nearly half of the evening newscast on Tuesday evening, Xi proclaimed that senior members of the Party needed “to play an exemplary role,” and that they had to be “broad-minded enough to reject any selfishness…to adhere to self-respect, self-examination and self-admonition” in their work (in Chinese). It’s extremely rare for Politburo proceedings to be spoken of in such detail and openness. And it’s unprecedented in modern times for the Party boss to start taking swings at his colleagues at the top by so directly reminding them of their responsibilities—a move that suggests he might be planning something even stronger soon. Having just admonished lower-level cadres in a salvo last week, some observers might think that Xi is simply putting on a show here. After all, it’s difficult to demand improvement in the work-styles of the rank and file without at least paying lip-service to the idea that those at the top could stand to do a little better themselves. Whether it’s misuse of official license plates or the high-end looting of state assets (in Chinese), Xi knows that corruption is not always confined to lower-level cadres. Xi was careful to concede that there have been some positive developments in the ways by which the Politburo and other Party bodies operate, such as “improvements in research and reporting.” Meetings have been shortened and presentations streamlined, “enhancing the majority of party members’ and cadres’ sense of purpose, as well as the view of the masses” towards the Party leadership, he noted. Xi’s reprimand seems to imply that some of them are not. His predecessors talked about the general threat to Party rule from the evils of corruption; but in nearly every case they chose to scold officials in the abstract, instead of smacking them around. As with so many other efforts, Xi’s being different. Indeed, such comments raise the very real possibility that Xi has someone specific in mind – that he could be about to strike against one or more of the conservatives who populate the Politburo and who might be standing in the way of further reforms. Whatever form the next round of fighting takes, Xi and his reformist colleagues are clearly interested in creating a fresh sort of politics, even at the very top of the system. This is risk-taking and resolution of a high order–and it brings a real political showdown with opponents of Xi’s brand of reform all the closer. 7. And this is an op-ed from Ching Cheong, the venerable Straits Times journalist who was locked up in China for three years accused (among other things) of spying for Taiwan. It talks about Xi’s encounter with Hu Dehua, which was referenced above. CHINESE President Xi Jinping’s conservative stance on political reform has led to a major split within the princeling community, whose members share a common interest in preserving the ruling status of the Chinese Communist Party (CCP). Mr Hu Dehua, the third son of the late party chief Hu Yaobang, openly criticised Mr Xi at a seminar held by the liberal magazine Yan Huang Chunqiu in mid-April. It was by far the most severe criticism lodged against Mr Xi since the latter became CCP general secretary last November. Mr Hu Yaobang was the CCP general secretary from 1982 to 1987. He was known for “liberating” thousands of senior CCP officials purged by CCP founder Mao Zedong. For this reason, he wielded considerable moral strength within the party. Mr Hu Yaobang’s death in 1989 triggered a massive democracy movement in Tiananmen Square that was put down bloodily. Thanks to his legacy, his two sons, Deping and Dehua, stood out as symbols of political reform amongst the princelings. Before Mr Xi became CCP chief last November, he let it be known that he paid a visit to Mr Hu Deping and had a long chat with him. Many considered this an attempt by Mr Xi to build an image as an enlightened leader. Now, however, Mr Xi has been taken to task by Mr Hu Dehua. He started with Mr Xi’s speech to party colleagues during his southern tour early this year. In it, the President stated that the Soviet Union collapsed because the party had disarmed itself by allowing the army to be loyal to the country rather than the party. “One lesson to draw is that we should forever grasp firmly the gun and not to disarm ourselves,” the President said. Mr Xi also lamented that when the country faced disintegration, given the size of the Communist Party of the Soviet Union (CPSU), there was no one “man enough” to come to its defence. To refute him, Mr Hu Dehua cited Russian Communist Party leader Gennady Zyuganov’s view that the Soviet Union collapsed because the CPSU had monopolised resources, political power and truth. “If this was the case, then there was nothing to regret if the Soviet Union or the CPSU collapsed,” he said. Mr Hu Dehua then hinted that Mr Xi had misread the reason for the collapse of the CPSU. Mr Hu cited a CCP document of July 14, 1964, entitled On Khrushchov’s Phoney Communism And Its Historical Lessons for the World, saying that there emerged in the Soviet Union a privileged class represented by the CPSU. “The members of this pivileged stratum have converted the function of serving the masses into the privilege of dominating them. They are abusing their powers over the means of production and of livelihood for the private benefit of their small clique,” the document said. “The members of this privileged stratum appropriate the fruits of the Soviet people’s labour and pocket incomes that are dozens or even a hundred times those of the average Soviet worker and peasant. They not only secure high incomes in the form of high salaries, high awards, high royalties and a great variety of personal subsidies, but also use their privileged position to appropriate public property by graft and bribery. Completely divorced from the working people of the Soviet Union, they live the parasitical and decadent life of the bourgeoisie,” said the document. Mr Hu Dehua pointed out that this was the real reason for the collapse of the Soviet Union. Turning to present-day China, which was plagued with problems similar to the Soviet Union’s, he said pointedly: “We blame everyone else, but never try to find problems from within. Is this a correct attitude? “Why can’t we learn from the Kuomintang (in Taiwan), reform ourselves and get elected, basing our legitimacy on people’s authorisation and not on guns and cannon?” Mr Hu Dehua asked. He then queried Mr Xi’s remark that no one was “man enough” to save the CPSU. “What does it mean by ‘man enough’?” he asked. “Driving third-generation battlefield tanks against your own people is ‘man enough’? Or resisting orders to kill your own people and opt to face martial court instead?” he asked. “When the ruling party faces a crisis, there are two options: to suppress the opposition or to reach reconciliation with the people,” Mr Hu Dehua said. Clearly, Mr Hu Dehua was referring to the Tiananmen incident. He then turned to Mr Xi’s latest assertion that one should not use post-reform history to negate the pre-reform years. Mr Hu argued that without turning its back on the traumatic Cultural Revolution (1966 to 1976), the CCP could not embrace reform and open the door to usher in a period of prosperity. This last question put the Chinese President in an extremely awkward position. Mr Hu decided recently to release the transcript of his speech on the Web. Mr Chen Ziming, a dissident branded as the black hand behind the 1989 Tiananmen incident, speculated that the recent salvos of propaganda attacking constitutionalism might have prompted Mr Hu to take Mr Xi to task. Mr Hu’s open criticism of Mr Xi also suggests that the princeling community is sharply divided over how to preserve the ruling status of the CCP, especially over whether rampant corruption and widespread unrest can be dealt with without political reform. Do you feel enlightened? I feel very slightly less in the dark. Rather like thousands and thousands of Chinese cadres, not to mention the general population, who are waiting to find out what Xi4Li3 (a homonym of Heineken’s Chinese name Xi3Li4 – you heard it here first) are actually going to do. I don’t mind a bottle of Heineken. But is that all this nation of 1.3 billion can offer us? This entry was posted on July 17, 2013 at 11:26 pm and is filed under China, Development, Economics, Education, Institutional development, North-east Asia, Politics, Uncategorized, United States. You can follow any responses to this entry through the RSS 2.0 feed. You can leave a response, or trackback from your own site.